Giveaways Archives - Page 10 of 10 - LET'S PLAY OC! 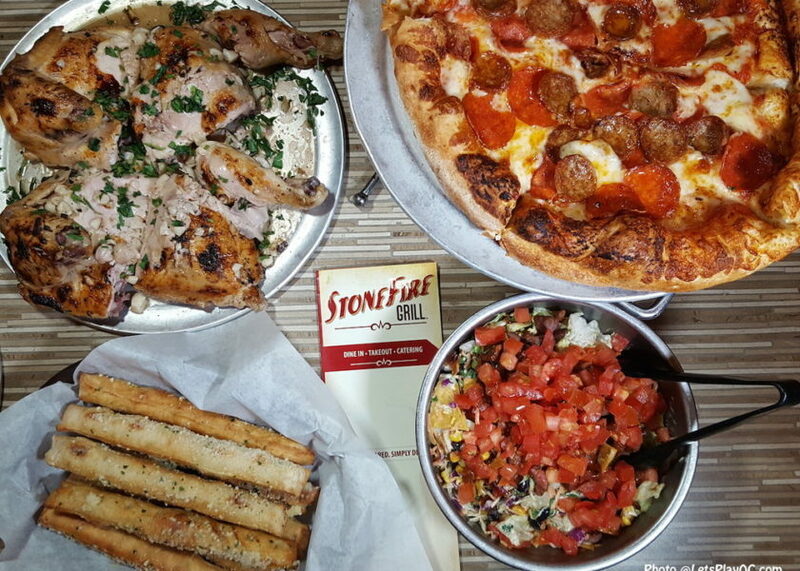 We stopped in recently to try out some of Stonefire Grill’s latest offerings. It was casual family-friendly dining but they also have catering and takeout so you”ll want to call ahead if you want to save time. They have options that will satisfy the whole family like pizza, ribs, tri tip, sandwiches, pasta, soups and salads. I like that you can buy a whole chicken or family sized portions as well as get it in petite sizes if you are not super hungry. Our favorites are the lemon chicken or salmon, bbq tri tip, baked rigatoni with meat sauce (my kids love it). Did you know that there is a STIMULUS PACKAGE on their secret menu? It is a pretty good value. For Dine In or Takeout, you can select half tri tip or whole chicken, a small salad, 12″ two topping pizza, and 8 yummy breadsticks for $29.99. It was a lot of food for a small family of 4. As we’re heading into the final four weekend of the NCAA March Madness, let’s talk about game time snacks that will save you time in the kitchen and give you more time watching the game. 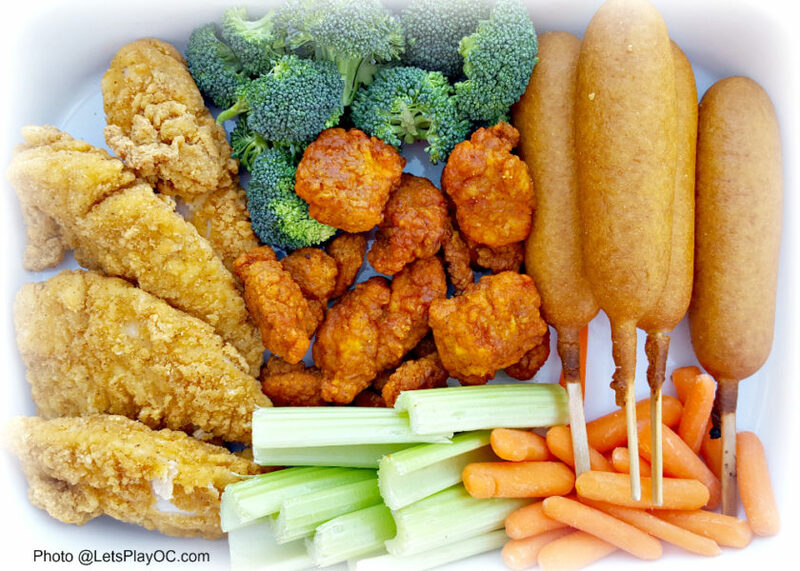 FOSTER FARMS have a ton of options like Honey Crunchy Corn Dogs, Cheese & Jalapeno Corn Dogs, Honey BBQ Wings, Buffalo Bites, Popcorn Chicken, Orange Chicken, Crispy Strips, Breast Nuggets, Hot & Spicy Wings, Chicken Breast Patties, Buffalo Hot Wings and more that only take about 20 minutes to heat up! (Hint: They also have Crispy Strips that is a 100% all natural with no antibiotics). I received complimentary sample products to try, and now I have them stocked in the freezer so they are always ready to go! 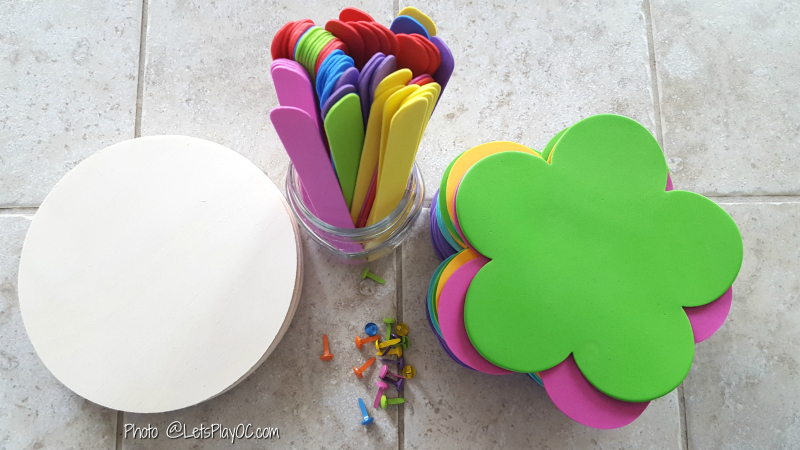 DreamWorks Trolls-Inspired Hug Time Clocks Craft + Movie Giveaway! Princess Poppy from DreamWorks Trolls loves to scrapbook and so do we! To celebrate the release of the film to Blu-ray/DVD, we spent the weekend creating Trolls-inspired Hug Time clocks. I’m showing you just how easy they are to make in this tutorial. 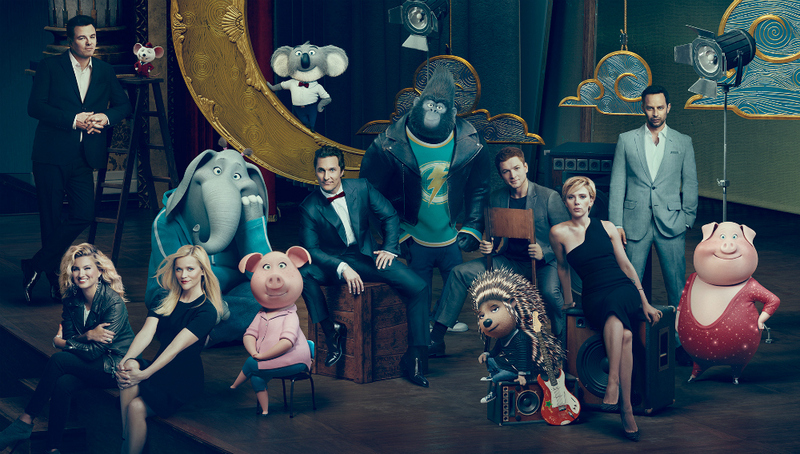 Plus one lucky reader will win a copy of the film! Marie Callenders: Whole Pie To-Go Sale is Back! 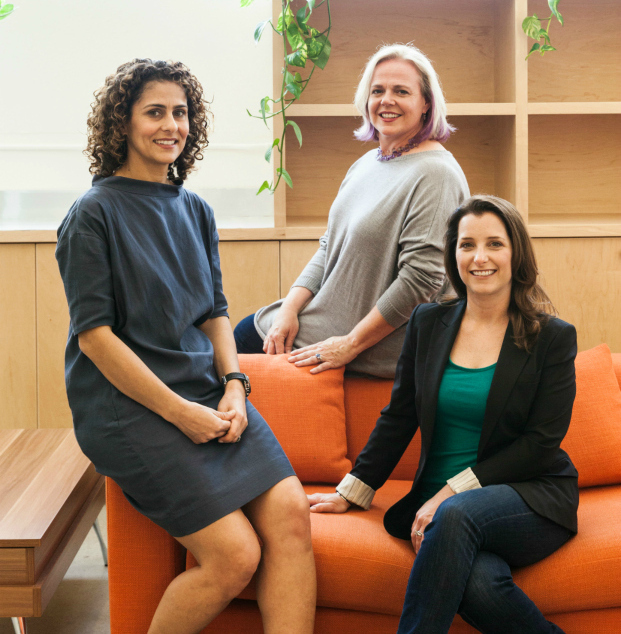 HopSkipDrive: Safe and Dependable Ride Service + Giveaway! 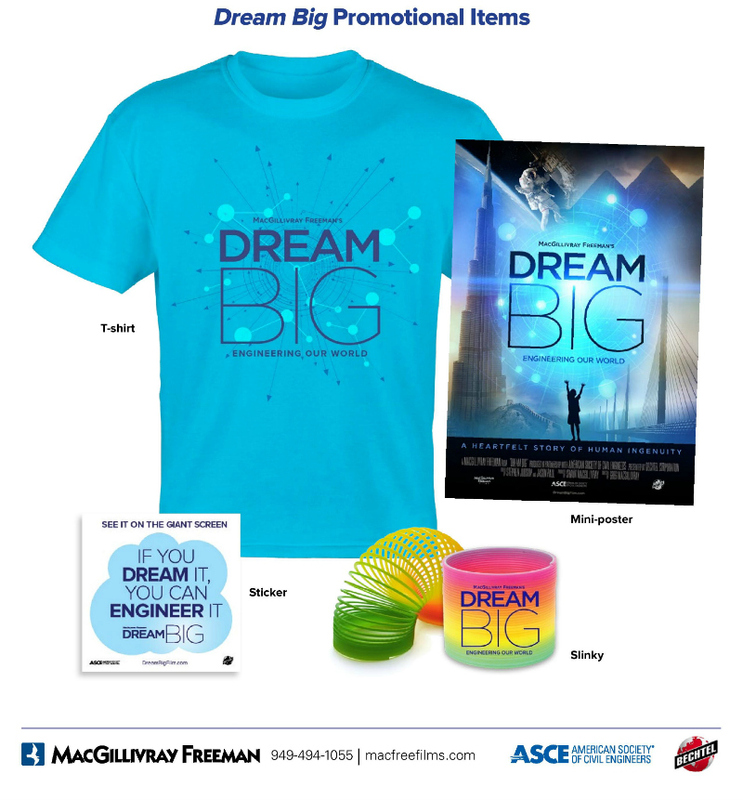 New IMAX Film – DREAM BIG 3D: Engineering Our World + Ticket Giveaway!